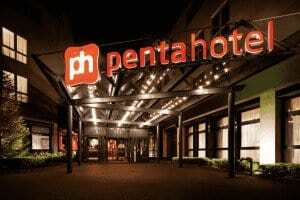 To facilitate your travel plannings, Hielscher Ultrasonics has partnered with pentahotel. When you book a room through the links below, you get 10% discount on the actual daily rate. Use the booking link below for 10% discount on the daily rate. Alternatively, you can use the promo code penta20121088 booking directly on their website (also 10% discount). 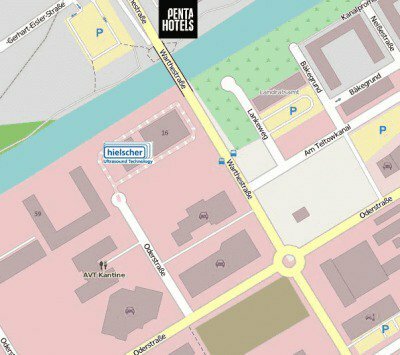 The hotel penta Berlin-Potsdam is located in Teltow – just a few meters away from Hielscher Ultrasonics’ facility. It is the ideal accommodation when you plan your visit at Hielscher Ultrasonics. Click here to book you room at the pentahotel Teltow at the promo rate! 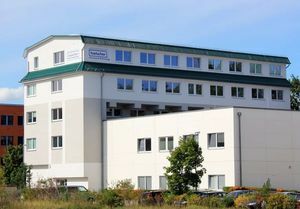 The pentahotel in Teltow is in walking distance from Hielscher Ultrasonics’ facilities. The hotel penta Berlin-Köpenick is approx. 30km away from Hielscher Ultrasonics’ facilities, located in the Eastern part of Berlin. By car, you will need approx. 45 min. to reach Hielscher Ultrasonics. Click here to book you room at the pentahotel Berlin-Köpenick at the promo rate!